Should you read this the day it goes live, know that I will be busy eating and celebrating this very moment. And that I wish you a wonderful time with your loved ones, time to relax and recharge, twinkling lights and delicious food. Beauty(ful) presents, should you do them and of course lot´s of sparkle both in your life and your makeup. When I realized, my upload day would fall on Christmas Eve, I wasn´t sure whether to post at all. 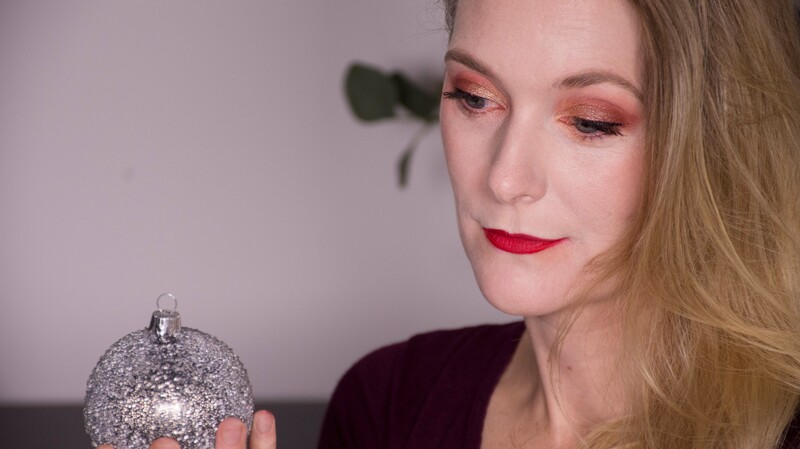 But then I realized that my favorite pass time after eating too much food is to sit back and watch videos, so in case any of you felt the same: Here is my Christmas makeup 2017. Reddish, sparkly and appropriate for New Year’s Eve as well.